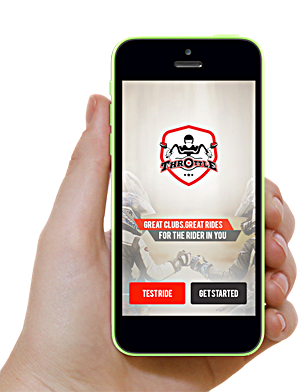 Mumbai based start up company in a bid to bond Motorcycle Riders, Motorcycle Clubs, Accessories players and OEM’s across the nation have launched a start up ‘Throttle’. The Throttle platform brings together motorcycle enthusiasts across brands and regional boundaries, motorcycling clubs, motorcycle tour companies, motorcycle event companies, accessory players and OEMs together on a common state of the art platform. It provides a multi-sport holistic experience that goes beyond the norm and plays host to a number of activities like club creation & administration, ride planning and management, conversing with individuals or in groups and the ability to buy or sell motorcycles, accessories, riding apparel from/to fellow enthusiasts. “Biking is about brotherhood and at Throttle we wish to promote the egalitarian spirit it represents. 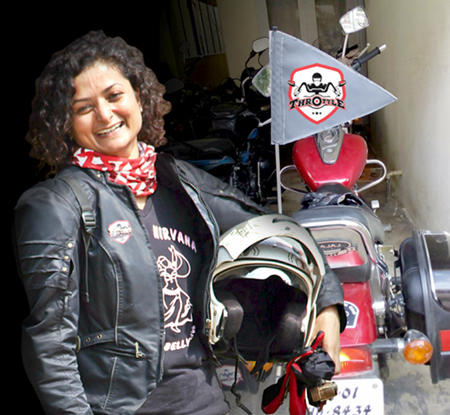 Whether they are a male or a female rider, each biker gets to express themselves with their bikes, rides and ride stories as they connect with fellow riders across the world, said Mr Kapil Sanghal, CEO, of Throttle, who is known as Kapsi in the biking circles. “An increasing number of Indians are buying big motorcycles and forming individual biker clubs, we as a start up have introduced technology to connect them together with various biker groups across the nation through our platform added Mr. Sanghal. “Throttle is a cool hangout for every rider. It is a online platform which has clubs, rides, rider profiles, chat, bike listing and much more. The platform can be accessed thru an Android app available on Play store. The Apple IOS & Windows apps will be launched soon .” said Mr. Srinivas Adimulam, Founder of Throttle. “Throttle’s journey symbolizes the idea to integrate the motorcycling world on one single, uniform platform consisting of motorcycle enthusiasts, motorcycle clubs, accessories players and OEM’s from around the globe. It all started with a group of motorcyclists who, with a strong desire to provide an online platform for motorcyclists and their passion for motorcycling, brainstormed and conceptualized this smart platform that integrates all stakeholders associated with motorcycling.” said Mr Mangesh Deshpande, Co founder of the Throttle. Throttle has been launched with the aim of uniting motorcycle riders across the nation as well as for promoting safe riding with focus on contributing to various social causes. Throttle club in its bid to social message and to disprove the theory that biking is solely male territory, and do away with the notion that India is unsafe for women, avid biker Esha Gupta has been sponsored to undertake the thrilling journey of a lifetime: biking across 17 States over 110 days. She started her journey on January 26 from Bangalore. This unique adventure has been organized and promoted by Throttle club, the motorcycling platform with a difference. Even as it focuses on the individual rider, Throttle goes all out to provide every facility and advantage, so that, like Esha Gupta he/she can pursue their grand passion for biking.